Fun isn’t it? I’m sitting here in GR, MI wishing we got the snow that you guys got for the same reason. It went right underneath us though. Have fun! Justin snapped this pic. 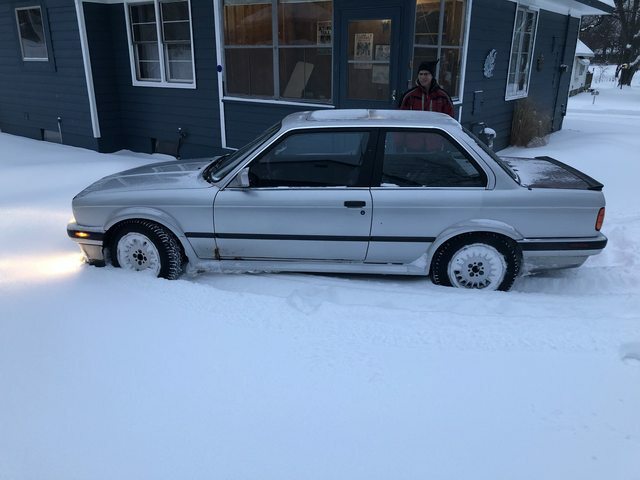 The ix is covered in snow. I'll take it for a spin later. 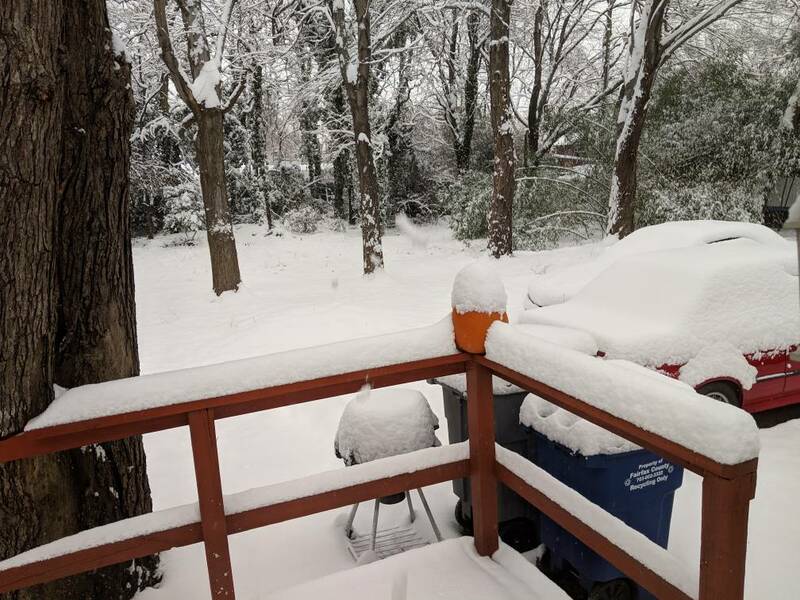 I'm up in northern VA btw. I'm planning on getting some 14" steelies & snow tires ASAP. What size Nokians are you running? Nokians website suggests 175/70R14 (which is the size I'm leaning toward), while tirerack.com suggests 185/70R14's. It seems some Nokian tire models are not available in all sizes. I'm looking for studless. I'm planning on getting the wheels & center caps in the attachment. I'm assuming I don't need any adapters or spacers or anything? Anything else I need to consider that I'm forgetting? 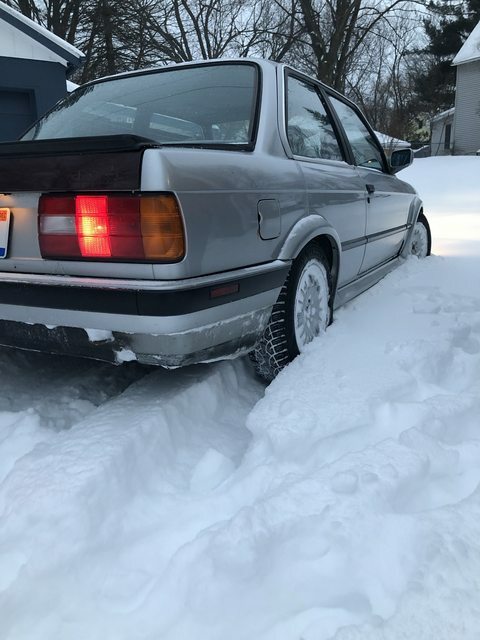 I just picked up my 325iX in December. I'm running 185/65-14 Hakka R3s on the steel wheels. So far it's been fantastic in the snow. 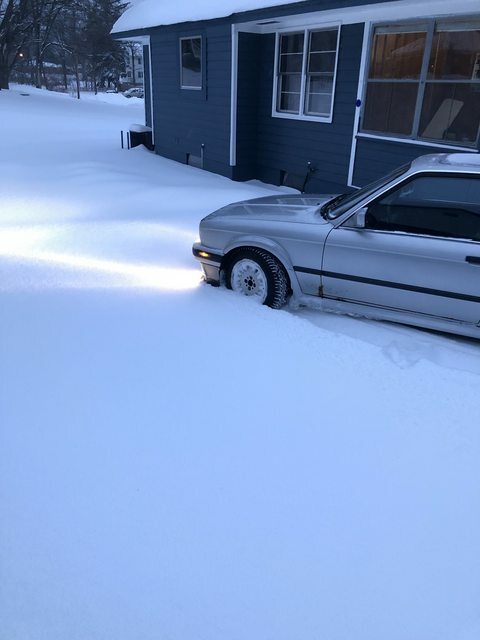 This car and the snow we had this morning, made for a fun drive. 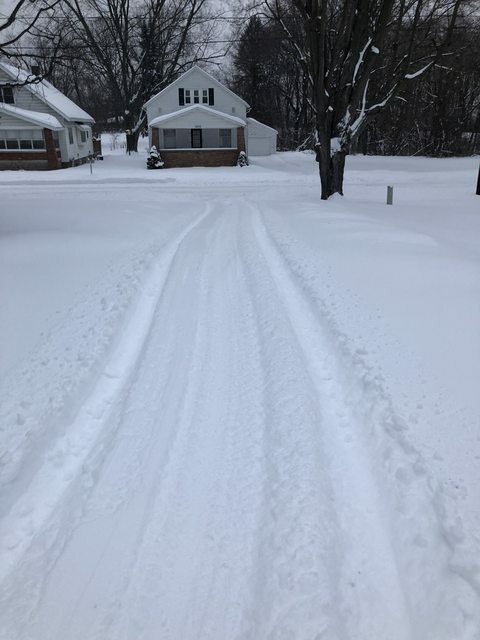 We've got about 7" on the ground in Grand Rapids, MI and we are expected to get more. It's so much fun having a car that can get through anything on the road. Why wouldn't they? the brakes are all the same size. I ran bottlecaps and 14" weaves for years. The 14" wheel won't fit rumor has been around for years, Discount Tire just told me the same thing an hour ago. That is why I was hoping to confirm that the 14" steelies in my attachment will indeed fit? It sounds like they will. Also is anyone running 70 series 14" Nokian Tires? Discount Tire says they have been discontinued, so I may not have that option available to me. Because the knuckles are bigger. I thought that's why BMW built the iX's with 15's.